A popular animated series Ben 10 is undeniably the hottest boys brand of the moment. 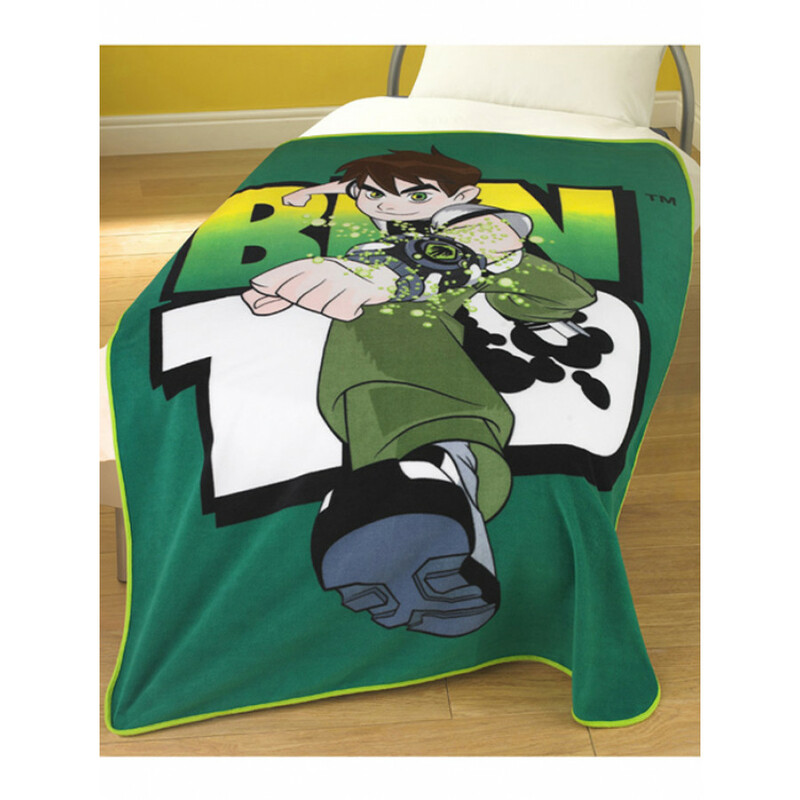 This throw blanket has pictorial pattern featuring brave hero named Ben who can change himself into various aliens in order to fight against evil. Loved by all kids, this throw blanket with exciting colours will let your kids busy all day becoming superhero who can turn into a cool alien at the drop of a hat. Crafted from high quality 100% polyester fleece, this throw blanket is extremely soft, cosy and plush. It is machine friendly and comes in size of 125cm x 150cm (approx).